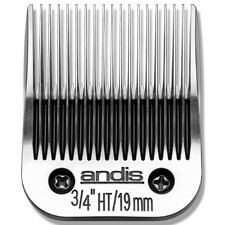 Introducing Andis' NEWEST ceramic clipper blade! leaves hair 3/4" (19mm) long! easier than a blade with an attachment comb. clippers from Andis, Oster A5, 76 models & Wahl.